Last week the American Heart Association (AHA) and the American College of Cardiology (ACC) published new updated guidelines in the journal Circulation for reducing the risk of cardiovascular disease in individuals . Their goals aim to "prevent cardiovascular (CV) diseases, improve the management of people who have these diseases through professional education and research, and develop guidelines, standards and policies that promote optimal patient care and cardiovascular health". To accomplish these commendable goals, AHA/ACC targets better management of blood cholesterol levels, overweight and obesity in adults, and provides information on lifestyle modifications . 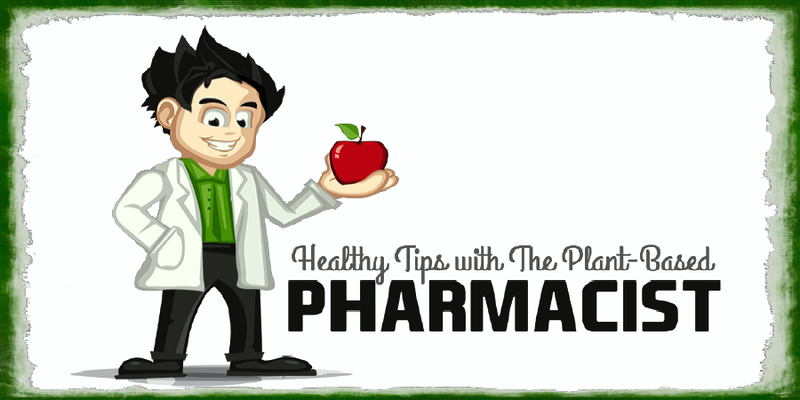 They also provide extensive guidelines on the use of cholesterol-lowering medications, mainly the statins . Cardiovascular disease is heavily predicted by the presence of hypercholesterolemia (i.e. high cholesterol), which leads to atherosclerosis. Animal and human studies have long shown that symptomatic and fatal atherosclerotic disease are extremely rare, if not completely absent, when total cholesterol levels are < 150 mg/dL and LDL (bad) cholesterol levels are < 100 mg/dL [4,5]. In other words, if your cholesterol numbers fall below those marks the chance of you having a heart attack, stroke, or dying from cardiovascular disease are next to ZERO! What Do The New AHA/ACC Guidelines Say? These differ greatly from previous guidelines by the National Cholesterol Education Panel (NCEP), which were all about targeting specific cholesterol levels. In the past, those with known heart disease were told to reduce their LDL cholesterol to 70 mg/dL or below and those without heart disease were told to reduce LDL to 100 mg/dL or below. 'Know your numbers' has been the gold standard for years. However, a major change has now happened with the new guidelines. 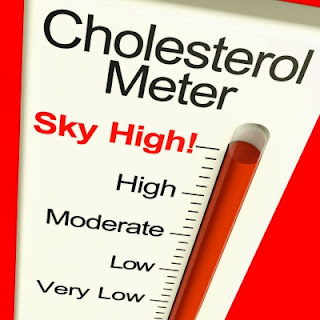 The notion of 'know your numbers' gets thrown right out the window, despite proof that lowering your cholesterol levels to the levels talked about earlier virtually eliminates heart disease. Instead, the new guidelines will effectively double the amount of patients who are now viable candidates for the multi-billion dollar pharmaceutical industry. According to the National Institutes of Health, up to 30% of the adult population will now be candidates for statin therapy with the implementation of these new guidelines. What Does The Science Say About Statin Therapy And Cardiovascular Disease? To understand the evidence behind statins you need to first understand this simple concept. Statins can be used for primary prevention (in healthy people who do not have heart disease) or for secondary prevention (in people who have had a history of heart disease or a prior stroke). 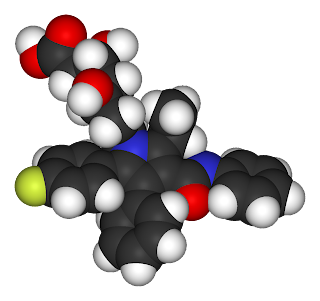 The scientific evidence clearly shows a benefit for taking statin drugs for the latter . Author's conclusion was 'No Benefits' to taking statin drugs in this population group. Read the full review here. Author's conclusion was 'Benefits Outweigh Harms' to taking statin drugs in this population group. Read the full review here. Another independent, comprehensive, unbiased review of the literature on statin use and their adverse effects was published earlier this year in the Journal of Endocrine and Metabolic Diseases . The authors found no benefit for statin use in primary prevention. However, they did find a benefit for taking statin drugs in middle-aged men with established coronary heart disease. "For normal healthy individuals who are eager to achieve primary prevention, we discovered that for every 10,000 people taking a statin, there were 307 extra patients with cataracts, 23 additional patients with acute kidney failure and 74 extra patients with liver dysfunction. Furthermore, statin therapy increased muscle fatigabilty by 30% with 11.3% incidence of rhabdomyolysis at high doses. What’s more, it induces inflammatory myopathy, including necrotizing autoimmune myopathy with immunosuppression and the statin-related myopathy can last for 12 months. An additional side-effect of statin therapy is erectile dysfunction, which is 10 times more in young men taking the lowest dose of statin. ...Primary prevention clinical results provoke the possibility of not only the lack of primary cardiovascular protection by statin therapy but highlight the very real possibility of augmented cardiovascular risk in women, patients with Diabetes Mellitus and the young. Statins are associated with triple the risk of coronary artery and aortic calcification. These finding on statin major adverse effects had been under-reported and the way in which they withheld from the public, and even concealed, is a scientific farce." Who's Behind the New AHA/ACC Guidelines? First, the AHA itself is heavily funded by the pharmaceutical industry. A report detailing the 2009-2010 financial support to AHA from the pharmaceutical, medical device, and health insurance industry revealed a total of $25.3 million in financial contributions by these industries . Coincidentally, the 2010 revenue for Lipitor alone—the top selling drug in 2010—was $7.2 billion . Nice return on investment huh? Preventing and Reversing Heart Disease - Do My Genes Doom Me? Most heart attacks and strokes can be completely prevented. Many cases of heart disease can even be reversed by making some simple, no-cost, side-effect-free lifestyle and diet changes. You might find yourself saying, "But I tried every diet and lifestyle modification known to man and nothing works so the only thing left to do is go on statins." Not so fast! Very few people are "doomed" by their genes when it comes to heart disease. The only condition that "dooms" people is one called familial hypercholesterolemia. This condition occurs when a person inherits a mutant LDL receptor gene limiting the body's ability to remove LDL cholesterol from the circulating blood by 50%, thereby increasing the risk of heart attacks . Consequently, persons with familial hypercholesterolemia have total cholesterol levels around 300 mg/dL, and usually die by the fourth or fifth decade of life (without cholesterol-lowering therapy). This is very rare however. Only 0.2% of the population, or 1 in every 500 people, have familial hypercholesterolemia. These individuals definitely need to be on some form of lipid-lowering therapy. If you're not in this group of individuals then that's great news! The likelihood of you being able to get your cholesterol levels down to the heartattackproof range is quite good IF you're willing to adopt a whole foods, plant-based lifestyle. I've covered this topic numerous times in my articles below if interested in learning more. 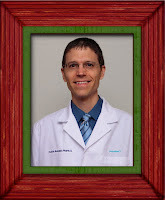 You can also visit www.HeartAttackProof.com for additional information from Dr. Caldwell Esselstyn, Jr., MD. Ultimately, you have to decide what is best for you when it comes to preventing and/or treating cardiovascular disease. Like any health-related decision you make in life it's in your best interest to do your homework. By weighing the potential benefits and risks of any treatment, therapy, or lifestyle you choose to partake in you'll give yourself a greater sense of security and comfort knowing exactly what you're about to get into. 1 Stone NJ, Robinson J, Lichtenstein AH, et al. 2013 ACC/AHA guideline on the treatment of blood cholesterol to reduce atherosclerotic cardiovascular risk in adults: a report of the American College of Cardiology/American Heart Association Task Force on Practice Guidelines. Circulation. 2013;00:000–000. 2 Eckel RH, Jakicic JM, Ard, JD, et al. 2013 AHA/ACC guideline on lifestyle management to reduce cardiovascular risk: a report of the American College of Cardiology American/Heart Association Task Force on Practice Guidelines. Circulation. 2013;00:000–000. 3 Murphy SL, Xu JQ, Kochanek KD. Deaths: Final data for 2010. National vital statistics reports; vol 61 no 4. Hyattsville, MD: National Center for Health Statistics. 2013. 4 Keys AB. Seven Countries: A Multivariate Analysis of Death and Coronary Heart Disease. Cambridge, Mass: Harvard University Press; 1980. p. 381. 5 Wissler RW, Vesselinovitch D. Atherosclerosis in non-human primates. Adv Vet Sci Comp Mcd 1977; 21:351--420. 6 S. Sultan and N. Hynes, "The Ugly Side of Statins. Systemic Appraisal of the Contemporary Un-Known Unknowns," Open Journal of Endocrine and Metabolic Diseases, Vol. 3 No. 3, 2013, pp. 179-185. doi: 10.4236/ojemd.2013.33025. 7 2009-2010 AHA Corporate Financial Disclosure Report. Available: http://www.heart.org/idc/groups/heart-public/@wcm/@global/documents/downloadable/ucm_425834.pdf. Accessed 17 Nov 2013. 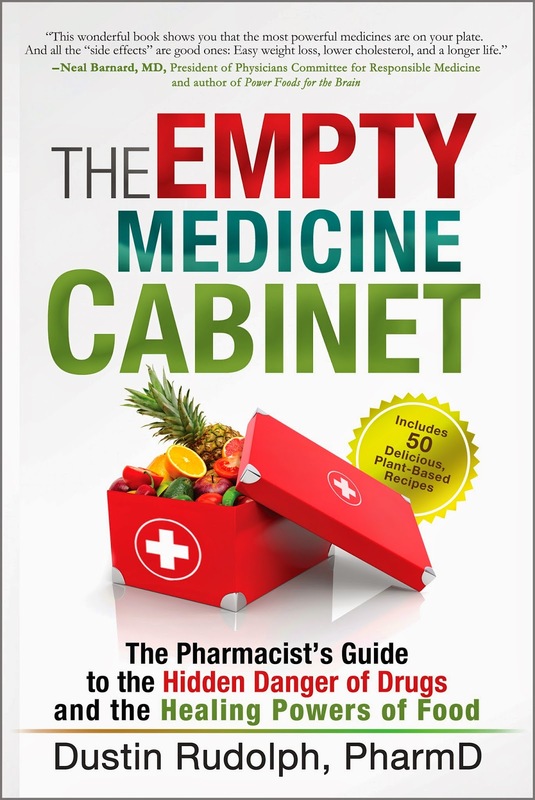 8 Pharmacy Times. Top 200 Drugs of 2010. 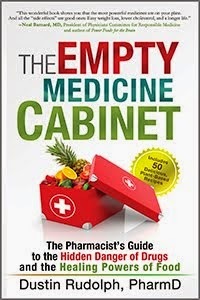 Available: http://www.pharmacytimes.com/publications/issue/2011/May2011/Top-200-Drugs-of-2010. Accessed 17 Nov 2013. 9 Brown MS, Goldstein JL. How LDL receptors influence cholesterol and atherosclerosis. Sci Am. 1984;251(5):58–66.